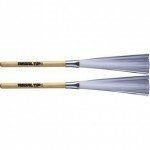 The Regal Tip "Classic Series" 5A Drumsticks are made of hickory or maple and available in wood or nylon tip. The dimensions are .580" x 16". 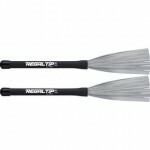 Innovation, quality and attention to detail goes into every Regal Tip drumstick. From the pioneering designs to the unique finish, no other drumstick looks, performs or feels like a Regal Tip. 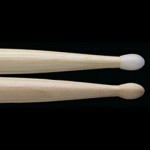 The Regal Tip "Classic Series" 5B Drumsticks are made of hickory and available in wood or nylon tip. The dimensions are .600" x 16". Innovation, quality and attention to detail goes into every Regal Tip drumstick. From the pioneering designs to the unique finish, no other drumstick looks, performs or feels like a Regal Tip. 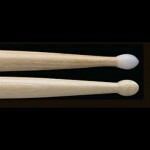 The Regal Tip "Classic Series" 7A Drumsticks are made of hickory and available in wood or nylon tip. The dimensions are .520″ x 15″. Innovation, quality and attention to detail goes into every Regal Tip drumstick. From the pioneering designs to the unique finish, no other drumstick looks, performs or feels like a Regal Tip. The Regal Tip "Classic Series" Rock Drumsticks are made of hickory and available in wood or nylon tip. The dimensions are .555" x 16". They feature an all around design finely crafted from top quality U.S. hickory. Innovation, quality and attention to detail goes into every Regal Tip drumstick. From the pioneering designs to the unique finish, no other drumstick looks, performs or feels like a Regal Tip. 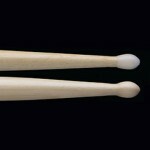 The Regal Tip "Classic Series" Drumsticks are finely crafted from top quality U.S. hickory and are available in nylon tip only. The dimensions are .475″ x 16″. 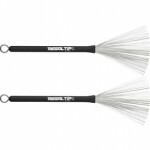 Innovation, quality and attention to detail goes into every Regal Tip drumstick. From the pioneering designs to the unique finish, no other drumstick looks, performs or feels like a Regal Tip. 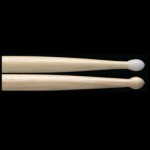 The Regal Tip "Classic Series" Jazz Drumsticks feature an all around design finely crafted from top quality U.S. hickory and are available in wood or nylon tip. The dimensions are .520" x 16". 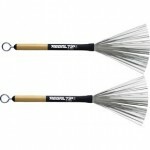 Innovation, quality and attention to detail goes into every Regal Tip drumstick. From the pioneering designs to the unique finish, no other drumstick looks, performs or feels like a Regal Tip. 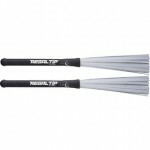 The Regal Tip "Classic Series" 2B Drumsticks are made of hickory and available in wood or nylon tip. The dimensions are .655" x 16". 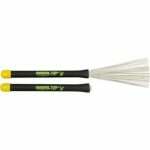 The design features traditional taper and tip in high quality hickory along with a Performance Enhancing Finish! 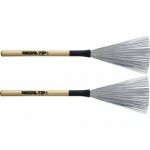 Innovation, quality and attention to detail goes into every Regal Tip drumstick. From the pioneering designs to the unique finish, no other drumstick looks, performs or feels like a Regal Tip. 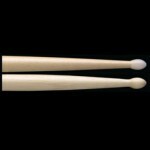 The Regal Tip Classic Series 8A Drumsticks are finely crafted from top quality U.S. hickory or maple and are available in wood tip only. The dimensions are .555″ x 16″. Innovation, quality and attention to detail goes into every Regal Tip drumstick. 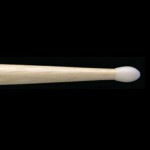 From the pioneering designs to the unique finish, no other drumstick looks, performs or feels like a Regal Tip.